With only two weeks to go, we really need your help! We are working to get an initiative on the ballot in November 2013 to fund the Early to Rise Program. 1. Get the petition, sign it, complete it and MAIL it back or CALL US (713-614-8812) and we’ll pick it up! 2. Get the petition, sign it, complete it and pass it around among your friends and coworkers who are registered voters in Harris County. Then MAIL it back or CALL US (713-614-8812) and we’ll pick it up! 3 Vote for the program on November 5th, 2013. Please call Eva Calvillo at Texans Together at 713-782-8833 or email Eva Calvillo If you have any questions about these materials or need help in getting started. It’s time to stand up for toddlers in Harris County and we can on the November ballot! See here and here for the background, and here for more on the petition effort. Lisa Falkenberg notes the rather convoluted politics of all this. Ed Emmett should have been one of the first people to find out about a petition drive seeking to put a penny tax on the November ballot to improve early childhood education and teacher training in Harris County. After all, as county judge, he’s the guy the petition directs to place the tax increase generating $25 million a year on the ballot. “This has been handled politically about as poorly as any issue I’ve ever seen in my life,” he told me a few weeks ago in a phone interview. I followed up this week to see if this thinking had “evolved” since he’s been able to talk with interested parties. Falkenberg noted that there was going to be an open house by Early To Rise, the group behind this effort, on Friday. The Chron covered that as well, including an appearance by Judge Emmett, attending on his own. The newly formed nonprofit Harris County School Readiness Corp., with the help of a variety of organizations and paid canvassers, has gathered about 40,000 of the 78,000 petition signatures it says it needs to require Emmett to put a 1-cent property tax hike on the upcoming election ballot. The increase would generate $25 million a year for a program called “Early to Rise,” designed to improve child-care centers in the county serving children up to age 5 by training teachers and buying school supplies. “There’s been an outpouring of support,” said Jonathan Day, a member of the corporation’s board and a former Houston city attorney, expressing optimism the group will meet its mid-August deadline. The statutes say Emmett would have to call an election to increase the property tax rate of the Harris County Department of Education if he receives a petition with a sufficient number of signatures. Day conceded the laws no longer are codified but says they still apply. “We hope that he’ll reconsider,” said Day, who criticized Emmett for not offering an alternative to the proposal on Friday when his group, whose membership includes former Houston first lady Andrea White, held its first formal information session at the United Way of Greater Houston, which co-hosted the event with the Kinder Institute for Urban Research at Rice University and the Center for Houston’s Future. “I think we have to come up with a better answer,” said Emmett, who went to the session to share his position with the dozens of attendees. I really don’t know what to make of all this. I support doing everything we can for early childhood education, too, but I understand Judge Emmett’s concerns. The likelihood of a lawsuit, whatever County Attorney Vince Ryan and AG Greg Abbott say about the law in question, is basically 100%. There are still questions about governance of this program, if it comes to be; HCDE Board of Trustees Chair Angie Chesnut has said she can’t support it if HCDE doesn’t get to name at least one member of the corporation. Judge Emmett has pointed out that the one penny tax increase in the plan would make what HCDE levies exceed its statutory maximum, which will likely be another lawsuit magnet. There’s just so many questions to be answered. 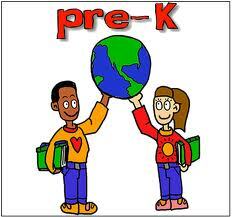 The goal of universal early learning programs is laudable and worthwhile. The path to get there has been strange, to say the least. All questions about this aside, the fact remains that as with the New Dome Experience plan, petitions would have to be collected and certified in time for the item to be placed on the November ballot. They have a bit more time since Commissioners Court won’t be involved, but the signatures still need to be verified, and that takes time. The information is there if you want to participate, or go to the Early To Rise Facebook page for more. If this gets to the ballot, will you vote for it? Leave a comment and let me know. Some more details on that pre-k proposal being pitched to the HCDE. It raises more questions than it answers. Members applauded the effort by the recently formed Harris County School Readiness Corp., a non-profit group whose membership includes business, philanthropic and community leaders, including former Houston first lady Andrea White. At the end of the meeting, they voted 6-1 to allow Superintendent John Sawyer, who was absent Tuesday, to further study the plan and bring back a recommendation for how to proceed. The tone of the discussion, however, took a drastic turn during a question-and-answer session after a member of the corporation, former Houston city attorney Jonathan Day, presented the plan to the board with Carol Shattuck, president and CEO of partner group Collaborative for Children. New trustee Howard Jefferson, who had just been sworn in, asked Day to describe the proposed terms of any agreement between the department and the corporation, and what responsibilities the department may have. Explaining “work will be done by non-profit service providers,” Day told him “the control of the program in terms of allocation to various providers would be in the hands of the non-profit,” not the agency. He went onto explain, admitting his bluntness, that the group wanted to avoid having the education department board handle the program because of its reputation as a stepping stone for higher political office. He also alluded to recent criticism the agency has faced for hiring lobbyists, including former county commissioner Jerry Eversole, who resigned in October 2011 after being accused of taking cash bribes in exchange for contracts. Board President Angie Chesnut and Board Vice President Debra Kerner, alluding to an earlier discussion, then asked Day, whether the the trustees would be able to appoint a member to the corporation’s board. “Is that something we were still considering?” Kerner asked. A clarification: In my previous post, I said that the HCDE approved the plan. As you can see from the first paragraph quoted above, all they approved was for Superintendent Sawyer to study the plan. I just misread the story on which I based that statement. My apologies for the confusion. From this post, and from Big Jolly’s account of the HCDE meeting, it sounds like this idea isn’t fully formed yet. It would certainly help if the Harris County School Readiness Corporation would get their website and Facebook pages up so we can examine their plan in more detail, and give them feedback directly. I do think the HCDE Board needs to appoint at least one member to the School Readiness Corp’s board – at least two would be better. But really, just getting all the i’s dotted and t’s crossed would go a long way. I think this is fated to wind up in court one way or another, so while Judge Emmett is soliciting opinions from the County Attorney and the Attorney General about the legalities of all this, it would be wise for the HCSRC to get and publish its own opinion. Who knows, maybe there’s a less dicey way to make this happen. But let’s get some more information, no matter what else. Stace has more. Would you pay more for pre-K in Harris County? You might get the chance to vote on it. The recently formed Harris County School Readiness Corp., a group whose membership includes former Houston first lady Andrea White, is circulating a petition calling for the placement of an item on the next election ballot that would increase the county property tax rate by 1 cent, generating about $25 million a year to train teachers and buy school supplies for child-care centers serving children up to age 5. The initiative stems from a recommendation made in an April report commissioned by the Greater Houston Partnership and the Collaborative for Children. It is similar to one launched by San Antonio Mayor Julian Castro, which ended in voters last year approving a modest sales tax hike to build new pre-kindergarten centers. The corporation, however, faces several big hurdles before voters have a say. Chief among them: Harris County Judge Ed Emmett, who says he believes the state law dictating the petition process the group is following is no longer valid. While most county-related matters require the approval of the five-member Harris County Commissioners Court, the corporation is going by a process laid out in a state law that technically no longer is on the books that says county judges must call elections to increase the tax rates of county education departments if enough signatures are collected on a petition. The corporation will have to gather at least 78,000. While conceding that the group’s legal interpretation “may be right” and describing childhood education as “a great need,” Emmett said he believes that portion of the education code no longer applies, and has asked the county attorney’s office to review it. The issue here is that only two counties, Harris and Dallas, still have education departments. As is often the case, the laws on the books don’t quite line up with current reality, and as such there’s an ambiguity. Judge Emmett will seek counsel about that, as he should, but it’s a lead pipe cinch that if this election goes forward and the proponents of raising the tax rate win, someone will file a lawsuit to invalidate it. I can already hear Paul Bettencourt and the Hotze brothers cracking their knuckles in anticipation. Hell, there will probably be a lawsuit even before the election if enough petition signatures are collected to require one. At least then we’ll have a more definitive answer to the Judge’s question, though it might be quicker to just wait till 2015 and try to get a bill passed to clarify matters then. Be that as it may, getting to the point of having an election is no sure thing. As Campos calculates, it’ll take about 78,000 signatures to clear that bar. I’m not exactly sure what that is based on – it’s always some percentage of the turnout of the previous election, but what that percentage is and which election it’s derived from are unknown to me. It’s also not clear to me that this would pass if it made it onto the ballot. The San Antonio pre-k initiative that Mayor Julian Castro championed passed with 53.56% of the vote, which is solid but not overwhelming and it happened in a city rather than a county in a high-turnout election. It’s easy to visualize the campaign against this initiative, no matter how good it sounds on paper. Don’t get me wrong, I like the idea, I’m just saying it’s far from a slam-dunk. There’s not a lot of information out there about the Harris County School Readiness Corporation right now – no webpage or Facebook presence, though I am told both will be up soon. I did get this press release yesterday, which fills in a few blanks. Houston: Citizens for School Readiness made a presentation today to the Harris County Board of Education on the importance of early childhood education. The Board received a report commissioned by the Houston Endowment and conducted by the Greater Houston Partnership and Collaborative for Children, demonstrating the need for improved early education. Also presented to the Board was a plan to place a ballot measure before the voters this November that would create a dedicated revenue stream for early childhood education. The additional revenues will be overseen by the Harris County School Readiness Corporation, a public/private partnership board headed by Mr. James Calaway, Chairman of the Board of the Center for Houston’s Future. Also serving on the board is Houston’s Former First Lady, Mrs. Andrea White, as well as Pastor Kirbyjon Caldwell of Windsor Village United Methodist Church, Mr. Jonathan Day former Houston City Attorney and civic leader, leading Houston businessman Mr. Lupe Fraga, Ms. Y. Ping Sun, and Ms. Laura Jaramillo, Senior Vice President of Wells Fargo. “People from every sector of this city recognize the critical importance of strengthening early childhood education for our youngest children. Kindergarten is the new first grade, and children need to enter kindergarten already knowing their ABCs and with their skill sets already developed.” said Mr. Jonathan Day, referencing numerous studies that tout the long-term social benefits of early childhood education programs. There’s more, so click over and read the rest. Like I said, I think the hill is a lot steeper than Dr. Murray’s poll suggests, but I daresay the pro-pre-K group won’t be outspent. What do you think about this? UPDATE: HCDE trustees approve the plan, which has a wrinkle I didn’t catch the first time around. The Harris County Department of Education board of trustees voted 6-1 Tuesday to allow its superintendent to review a proposal calling for a 1-cent increase to the agency’s tax rate to fund early childhood education programs. Board members, however, expressed concern about the lack of oversight they may have under the proposal, pitched by recently formed nonprofit Harris County School Readiness Corp. The group’s plan, which it presented to the board on Tuesday, involves collecting at least 78,000 signatures on a petition, which would – according to a 1937 state law – require the county judge to place the tax hike on the next election ballot. The increase would generate an additional $25 million a year, which would be used in part to train teachers to staff child-care centers in the county serving children up to age 5. If voters were to approve the hike, the nonprofit’s plan says its own board would administer the new revenue. The item approved by the board Tuesday allows the superintendent to review the plan and later bring a recommendation back to the board. I’m a little uncomfortable with the funds being administered by the unelected board of a nonprofit. See CPRIT for the reasons why. I’d still like to see pre-k funding happen, but I’d like to know more about how these funds would be administered.